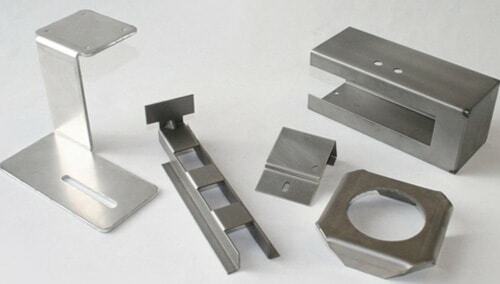 Commercial and industrial requirements for sheet metal fabrication are always very specific. Industries such as aero, light & heavy machinery, HVAC, store & light fixture and many more are always looking for high volume, fast turnaround and reliable results. Hence it is very important to employ a company that has the necessary tools, technology and expertise to deliver at a high volume within the required specifications. In other words a company with flexibility and agility in its manufacturing. At Weldflow Metal Products we have the capability to deliver high or low volume orders in a timely and professional manner. Timing and dependency is crucial in our industry and that is where we add value for our customers. Our engineers alongside trained and experienced technicians are able to produce solutions that keep the processes running smoothly. Also it’s not uncommon for customers to bring their ideas or concepts only. Our trained professionals turn these into drawings using latest software’s. The process involves understanding the customer’s requirement, challenges, ideas and introducing cost effective and time saving solutions. This is the extra value we give to our valued customers. Although our work centres (Including mechanical shears, CNC turret punch press machines, press brakes, etc)are fully equipped for any type of production run, to improve our processes and turnaround time we are frequently updating existing technology and introducing newer machinery. Skilled lead hands in respective areas are responsible for transforming flat 2 dimensional sheet metal into a finished 3 D objects employing work centres such as shearing, punches, forming, spot welding, welding and inserting fasteners. Give us a call or drop by our offices and we can sketch out a plan and timeline for delivery.